You don’t have to follow the financial technology industry or work with developers in faraway lands to know TransferWise, arguably the world’s leading peer-to-peer money-transferring startup. Thanks to its presence in more than 70 countries, low-cost rates for moving money internationally and, of course, its famous “nothing to hide” PR campaign that featured its semi-naked employees running through the streets of London and New York, TransferWise has become one of the world’s most recognizable fintech brands. Along the way, the company helped usher in the age of the rebel-fintech adolescent startup that could compete and win against dusty incumbents on the basis of transparency, value, technology and, perhaps most importantly, moxy. But today, the macroeconomic, business and political conditions that served as the feedstock to co-founders Kristo Käärman and Taavet Hinrikus when they launched TransferWise are ancient history. Can it keep scaling amidst heightened trade tensions, the unfortunate rise of xenophobia and capital controls? Will it continue to grow profits in the face of competition from other well-funded fintech startups and incumbents that look less dusty? 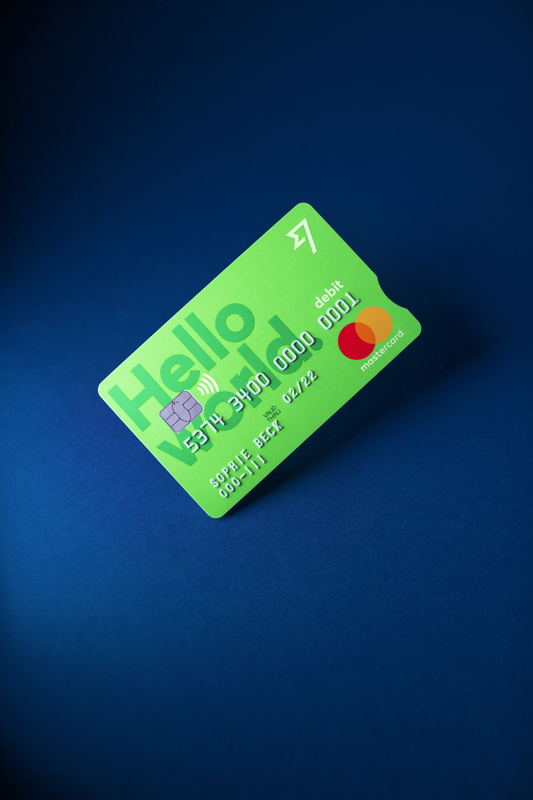 Does the company, which has recently launched important partnerships, a revamped “borderless” business offering and a Mastercard debit card, have aspirations to provide other financial services? And, why isn’t TransferWise public? In the interview below, CEO Käärman addresses these questions head-on. In doing so, the Estonian native makes the case for his company’s future as a trusted partner for its dedicated (and growing) customer base. Gregg Schoenberg: It’s good to connect, Kristo. I recently took a look at your financials, which show that despite your fairly large size, you’re still growing at a very fast pace. Kristo Käärman: Yes, things are going very well. Tracking back to the very early days when we started, our hypothesis was that we can service customers about 10 times cheaper than banks. That was really proven out about two years ago when we reached break-even, which is an important proof point: tech that’s paying for itself. It’s not paid for with investors. GS: So it actually works. KK: Yes, this thing actually works. In fact, in our original hypothesis, we thought that we could probably do our biggest trade routes for 0.5 percent in fees. We’ve now revised this and are now operating at 0.3 percent in our largest routes. GS: I assume that’s all in? Because TransferWise always uses the mid-market or spot rate. KK: Yes, and from the beginning, we’ve taken the approach that we never hide anything in the spread. GS: Before we leave the topic of your financials, is there any color that you would care to give on how things are going subsequent to when you reported your numbers? KK: Things are going in the same direction, which is consistent with the mission of the company: Grow the volume and the customer base, which gives us more scale to enable us to charge skinnier and skinnier margins. GS: Taavet has said that he knows the moment when TransferWise’s transaction volumes will surpass Western Union’s. When is that? KK: We’re a little bit behind Western Union, but give us a few years. What’s more powerful? Anti-trade factions or the natural forces leading us to become more global? GS: So it won’t be in 2019? KK: It might be, but I doubt it. Actually, you can kind of work it out, because Western Union is a public company and their volumes aren’t really growing very much. Today, our volumes are still smaller than Western Union’s. Then again, Western Union’s volumes are not very big compared to Citibank’s or HSBC’s. GS: Speaking of volume, do you disclose your biggest foreign exchange (FX) crosses? I couldn’t find them on your site. KK: It’s not disclosed, but we make no secret about this either. Let me also preface this by saying that whenever we’re in the U.S., everyone’s brain immediately goes to U.S. to Mexico. But it’s not the biggest channel by far. GS: Is dollar-peso high on the list? KK: Definitely, but the volumes there are much smaller. Our biggest volumes are in between the large developed countries. So you’ve got pound-euro, euro-pound, euro-dollar, pound-dollar, dollar-euro. That’s the biggest triangle. Then you’ve got Australia, Canada, Switzerland, Japan, Singapore, Hong Kong, etc. GS: On that note, how big of a concern is it to when you see a weakening of overall relations between the U.S. and Mexico and China and the Brexit saga? To me, TransferWise has always been predicated on more frictionless, cross-border commerce. As you know, geopolitical forces are reversing those trends. KK: Certainly, if everyone decided that they weren’t going to trade in other currencies, there wouldn’t be a need for us. And I appreciate what you’re describing in terms of the public narrative that’s the intent of some factions. Whenever I get asked about trade tensions, I wonder, what’s more powerful? Anti-trade factions or the natural forces leading us to become more global? Technology is one of those forces. Because it’s very hard these days to be a local tech business. So while not every future business will be a tech business, most will either be tech or have a lot more tech elements, which are naturally more global. GS: You’re saying that the global game of tariff-chicken and overall decline in immigration between certain major countries isn’t on your CEO headache list and that they haven’t impacted flows? KK: No and no. Here’s a practical example: China has put into place capital controls, preventing residents from taking more than $50,000 U.S. dollars per year out of the country. As a result, they have already closed down the country from some aspects of money movement. I might disagree with that, but it’s their right. GS: That sounds like it can create quite a headache for you guys. KK: It’s a bit of a headache for us, but we’re not that worried about compliance requirements. We just won’t bother with the Chinese market. I mean, we’re operating in so many countries around the world. It’s business as usual for us. GS: Is a global recession and/or a global shock higher up your list? KK: I’ll answer that question by telling you about the month of the Brexit vote, which was an outsized month for us in terms of volumes. KK: Ha, my apologies. So a couple of days before the vote happened, we knew that whichever way the vote would go, there was going to be volatility that night, and when volatility happens, the price rises, the smarter banks make a lot of money, which is usually not the case for consumers. KK: A few days beforehand, we told our customers that a storm is coming, and that if they needed to move money between pound and euro or pound and something else, do it in the next 24 hours because we’re going to shut things down. GS: You gave people fair warning. KK: Yes, but we were actually very stressed on the day we put out the notice. Would people accuse us of crippling the service? Instead, people started thinking about how exchange rates were going to move. It ended up going really well and earned us kudos when things calmed down. GS: What you’re saying is that in a recession, which will likely accompany global freak-outs, you’ll protect your customers. But what you’re also saying is that volatility can be a good thing from the standpoint of trade flows going higher. KK: Yes, but I don’t like a recession. There are cases where people who can transact internationally can switch from PayPal to us. If they can, they’re jubilant. GS: Of course not. But some of the criticism hurled at TransferWise is that it’s a great service for when the weather is nice. And while large institutions charge too much for FX when times are good, in periods of volatility, they have more tools to manage risk and ease volatility. KK: In financial services, risk is expensive, and if we’re building a product where margins are getting thinner and thinner — and we think they can get close to zero — it means that we see zero risk involved in it. So everything that we do is designed in a way that would take as little risk as possible. And I think you’re referring to mostly FX exposure, which is one of the types of risk that emerges if you don’t have balance on both sides. KK: Then you either leave some people waiting for a little bit until you can match it out somehow on the market, or you’re willing to cover that position until you’re able to take it off. KK: So your assumption is correct, and it can be worth it to make payments instant by taking a very tiny bit of a position. We’ve comfortably managed that. I can’t disclose the numbers, but you’d be surprised how small that position is compared to our volumes. Now, in the early days, when we were running the company on my money and Taavet’s, we had no way to put up capital to facilitate transfers. But we had a trick we used then, because we often had more transfers coming in from, say pounds to euros than from euros to pounds. KK: We basically made a very large limit on the euro side — I think you could transfer like 50,000 euros at a single time — and a smaller limit on the pound side, so you could only transfer 3.000 pounds. GS: Is that something that you would still do if a mismatch got bad enough? KK: We haven’t done this now for five or six years, but it’s an idea to create a balance synthetically. GS: Let’s talk about where the business is headed. I’ve seen a number of announcements that you guys have made. On one hand, you’ve hooked up with BCPE, and have deals in place with some challenger banks to help them facilitate FX transactions. These partnerships can enhance your volumes and take you one step closer to becoming the Amazon of FX for retail. But you also now offer a “borderless” multi-currency account for people and businesses that can be linked to a Mastercard debit card, which seems to constitute an expansion of your relationship with some customers. KK: In terms of integrations with the customers of our banking partners, they now see how much they’re actually paying for a transfer. Plus, they get the same pricing as they would on TransferWise but with greater transparency. GS: You’re trading margin for dollars, right? Because you have to share the fees with partners like BPCE, but that’s okay because they’re bringing you lots of customers. KK: Yes, but they also share in the cost. In terms of the debit card, it comes from two ideas. Think of an individual customer who often sends money to their own account abroad, or to their family. Why do they do this? The answer is that they probably have a student loan or a mortgage to pay back at home. GS: Just like you did. KK: Right. So we asked ourselves, why don’t we make it easier for our customers to do it directly? Avoid this hop from their bank in the U.S. to TransferWise, then from TransferWise to their bank in the U.K. and then from their bank in the U.K. to pay the mortgage. Why don’t we let them do it from within TransferWise? Because we actually have the payments infrastructure in 70 countries. GS: Let’s talk about your small business customers specifically. KK: From the beginning, we’ve always accepted businesses as users. Over time, maybe the small business side has gotten more focus because it’s a little trickier and it needs more features. Specifically, while freelancers and businesses have always been very happy to use TransferWise to pay their suppliers, they still have an issue when they get paid, or when they invoice their customers. GS: Can you give me an example? KK: Let’s take a Swedish furniture maker, when they sell their beautiful tables in the U.S. like the one we’re sitting at. That company would put their Swedish account number on the invoice, and then depending on how bold they are, they would ask you to pay it in either Swedish krona or in U.S. dollars. Either way, one of the banks is going to do that conversion, while the customer is going to pay three or four percent of the invoice value. So now, with the borderless account, the furniture maker can hold the balance in different currencies. GS: That’s helpful, but not unique. KK: It’s not exciting. HSBC has been able to do this for decades. But what they also get is a local account number in many countries, eventually in 40 countries. 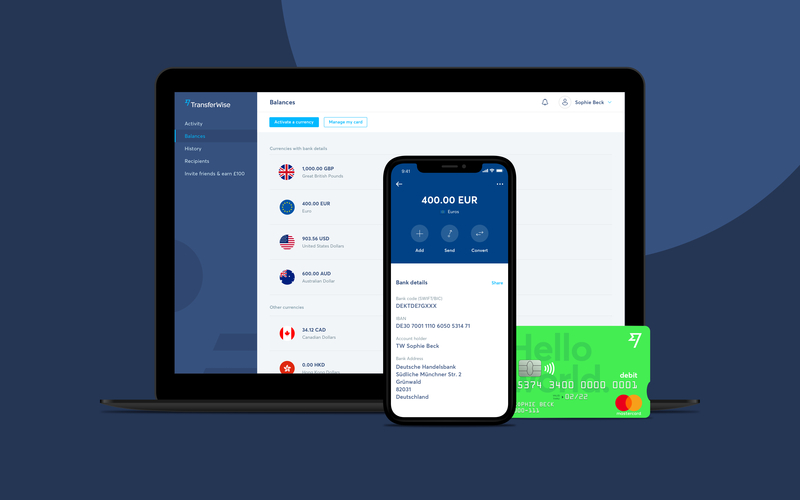 So now, they put their TransferWise account number on the invoice and it gets paid as a local business in the U.S.
GS: So you’re not trying to compete against domestic-oriented banks, or for that matter, even PayPal. It’s just an outgrowth of who your clients are that you offer this. KK: That’s fair, but I think we’ll overlap with PayPal a little bit. There are cases where people who can transact internationally can switch from PayPal to us. If they can, they’re jubilant. I think the journey of money could be something similar to email. GS: Well, they like your fees, right? KK: Yes, exactly. On a related point, the card is a way to give people access to that money that they have in the borderless account. So the thought process wasn’t to do a bank and start with a card. The thought process was to make it easier to facilitate international lives and international flows within the borderless account. GS: You can’t even pay interest on that cash, because you’re not a bank. GS: Taavet likes to give interesting quotes. One was, “We want to be as cheap as email one day.” As we all know, email is free. We also all know that when something is free, you’re the customer. It’s true in search and in trading stocks. With this in mind, have you been approached yet to sell your data? KK: No one’s ever approached me on data, and yes, we would like to be as cheap as email one day. Actually, I think the journey of money could be something similar to email. But to be honest, my visibility goes from being able to move from a 0.5 percent charge to a 0.3 percent charge. I also think I know how to get from 0.3 percent to 0.2 percent. But going from 0.2 percent to 0.1 percent is going to be really hard, I can tell you that now. And going from 0.1 percent to 0, that I don’t have an answer for. GS: If you want to remain transparent, it will be tough. I mean, you guys used to parade through London without your clothes on to make the point that there’s no secret to how you earn money. KK: Well, I don’t know if we need to get to zero cost; maybe 0.1 percent is completely fine. But if some people want zero for some reason, then we could also transparently subsidize it from something else that they are willing to pay for, or maybe someone else is willing to pay for them. GS: Let’s talk about the future, then. Why aren’t you public? GS: To do acquisitions, motivate employees, raise capital. There are all sorts of reasons why it could make sense for a growing, diversified company like TransferWise. I guess you’ve dipped your toe in those waters a little on the debt side, and I recognize that being public isn’t a walk in the park. Still, I’m sure you’re well aware that some megafund VC out there might one day pump mounds of equity into a competitor. Everyone had to create something so that they could live. GS: —But I understand that it reduces your flexibility and long-term planning a lot. KK: Regarding a fund that would put a huge amount of money into a competitor, let’s say a half a billion dollars, for example. I think if it was important, I should’ve done this already, but we haven’t. Plus, in order to deploy 500 million pounds, our customers are going to be paying interest on this, eventually. So we’d have to have a bloody good place to deploy that kind of capital. GS: To close, I want to ask you about Estonia, because I’ve never asked an Estonian this question: Your small nation has hatched Skype, Pipedrive and Taxify in addition to TransferWise. What’s in the water in your home country? Because not all former Soviet republics have had Estonia’s success. And while Israel may be known as the startup nation, I think Estonia could also lay claim to that title. KK: That’s a three-hour discussion by itself. I’ll say this: When I was a kid, the economy didn’t matter for people; independence mattered. And after having another country rule over you for 50 years, against your will, you don’t really care about how you’re going to eat next month. GS: And then the Soviet Union collapsed. KK: Which resulted in half the population basically becoming unemployed. Plus, we didn’t have an industry that was useful for putting food on the table or making a living at that time. Everyone had to create something so that they could live. GS: You’re saying that it was a combination of this fierce independent streak that was embedded into Estonia’s DNA combined with the lack of industry to rely on. KK: Yes. It’s called entrepreneurship. GS: Ha, well in your case, it was perhaps a gift. Thanks for your time, Kristo, and great luck.